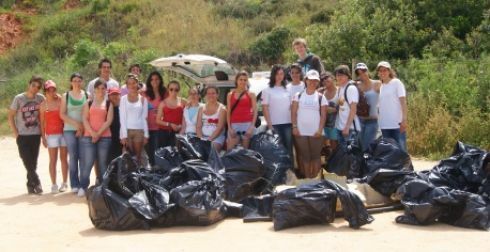 Every year, the “A Rocha” Association sets up a cleaning action in the Alvor Estuary, which is integrated in the Natura 2000 Network. This activity is done once a year in areas of wetland marsh, estuary and dunes. The cleaning is performed by volunteers, usually local or foreign students. It has the collaboration of the company EMARP which provides cleaning supplies such as gloves, tongs and trash bags and also performs the garbage collection. The association initiated this action because there are no rubbish bins or regular garbage collections at this site. The Alvor Estuary is a much visited place, especially by local shellfish gatherers who leave old clothes, bags and other used items on the beach. Somewhat successful. If we consider only the isolated activity we may say it is successful however, the site as a whole needs more cleaning up.